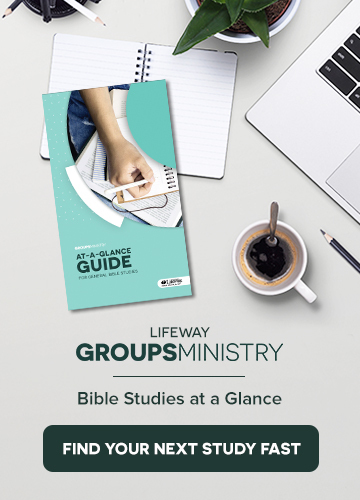 Each week on Thursdays we highlight a trustworthy discipleship resource that can help you in your mission to make disciples. This week’s post is from The Gospel Project: Unit 2, Session 2—God Foreshadows His Promise. Fill out the form at the end of this post by Friday, September 21st at 11:59pm to enter for a chance to win this free resource! Read Genesis 22:1-14 and Hebrews 11:17-19. When we read this chapter, we have to be careful not to sterilize it. We can do that at times as we read the Scriptures. We sometimes forget that these were real people with real feelings. Yes, Abraham trusted God. Yes, he had faith that God could raise Isaac from the dead. But that did not diminish the pain he must have felt. In seeking to follow through with God’s bizarre and seemingly cruel instruction, Abraham held the knife above Isaac, but then the angel called out. Mercifully, the test was over. Abraham had proven his faithfulness. It was evident that Abraham feared God because he was willing to let go of his beloved son. And in not holding anything back from God, Abraham revealed who was most valuable to him—God. God prevented Abraham from sacrificing Isaac, but then He provided a substitute sacrifice in his place. So Abraham named that place after a foundational truth he had witnessed there—“The Lord Will Provide.” And this foreshadows the promise of the gospel; this is what God did for us with His Son. Why was Abraham able to tell the two servants that he and his son would return? Why was he able to tie his only son, his beloved son, and lay him on top of the altar? Why was he able to lift a knife, ready to spill Isaac’s blood? What made such surrender to God possible was Abraham’s faith that He can do the impossible: Abraham believed that God could raise his son from the dead. Figuratively speaking, Isaac was raised from the dead, but historically speaking, Jesus was raised from the dead. Abraham believed God and received his son back, having passed his test. Christians believe God and receive the blessings, benefits, and righteousness of the resurrected Son of God, whose resurrection will one day be ours as well. Therefore, every day, every breath, every good gift from our good Father becomes an opportunity to live on mission for the God who has given us everything in Christ (Eph. 1:3). Additionally, it’s important that we remember Abraham was a person and consider the pain he felt in this account because it helps us. We feel pain too—many of us concerning children. No matter how we read this passage, we can know that we are not alone in our pain. Abraham walked through this pain too, and more importantly, Christ Jesus did as well (Heb. 4:14-15). We find comfort in sharing in Abraham’s pain, but we find greater comfort in sharing in his resurrection hope. Christ Jesus has defeated sin and death, and one day our heartaches will be no more. This article was adapted from The Gospel Project for Adults Fall 2018, Unit 2, Session 2—“God Foreshadows His Promise”. The Gospel Project is a chronological, Christ-centered journey through the storyline of Scripture. Preview four sessions free at gospelproject.com.